abel would bathe as many times a day as i'd allow, and stay in until the water was cold. 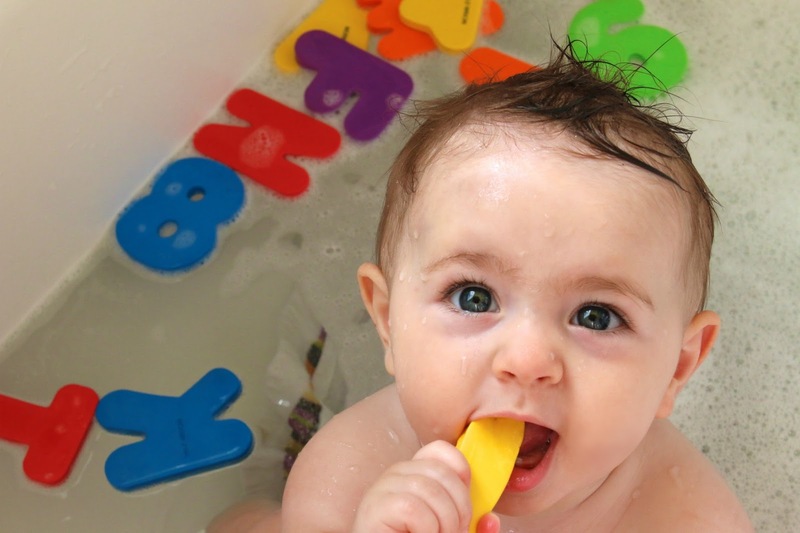 it's adorable + who doesn't love bath babies? plus, if you've seen the video... why wouldn't i allow this sort of joy into my day? no really, i've watched it at least 1 million times. if you haven't seen it yet, treat yourself + share it with your friends, because the world could use a dose of those giggles, stat.